Please write me if you see any bugs so that I can improve them (only bugs for now, improvements and additions later). And of course, please check back once in a while because they are being updated almost weekly. Thanks. norsez. A simple filtered white noise e-piano for the ambient souls for. 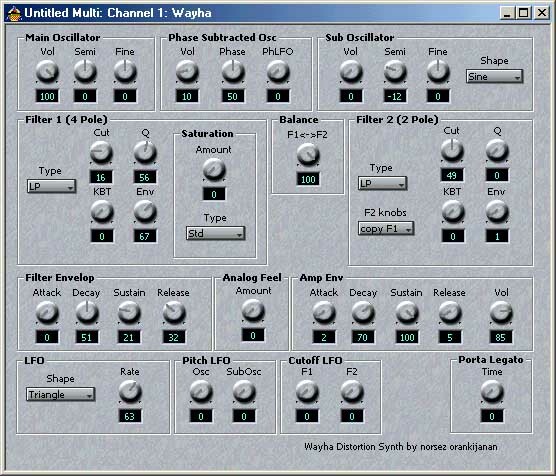 Ramsul Analog Kick Designer - - screenshot. Working. 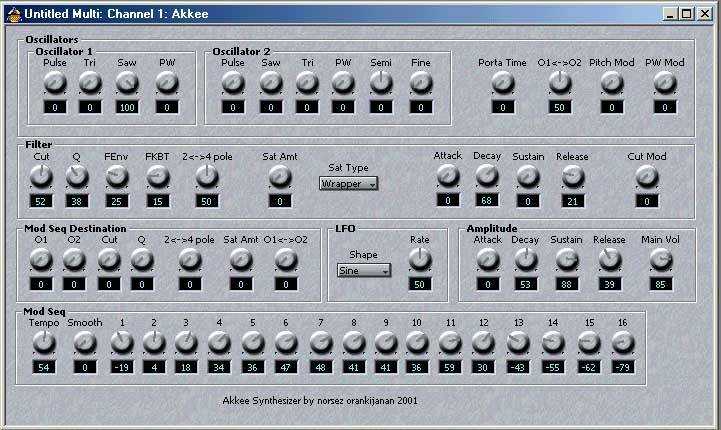 Create your own tight, punchy, thick or heavy Analog kick drums with Analog Kick Designer. Now with 6 distortion types. Now Ramsul works, but it does not work perfectly. I also include its new version, New Ramsul. It will sound different but it is much more stable. Phase subtraction bass lead synth for creating complex tones with 4 dsitortion types. 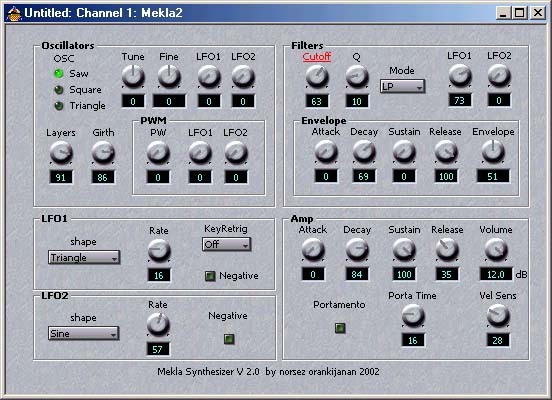 Two oscillator synth with morphable filter and sequence modulator for creating free envelop, special shaped LF0 or loop step sequencer. Thanks Dan Phillips for advices on interface design. Please feel free to write me your feedback on these synths.